BIGBANG leader G-Dragon is not the only member going on tour this year, another member of the band, Taeyang has also announced a major Asian leg to his White Night World Tour. Brought to you by YG Entertainment, Live Nation and IME Asia, the Asia tour is in support of Taeyang’s forthcoming third album of the same name which will be released on 16 August 2017. Kicking off in September, the 29-year-old singer will be touring across eight Asian countries including Southeast Asian countries like Philippines, Thailand, Indonesia, Malaysia and Singapore. The Asia tour will be from 22 September to 29 October 2017. Taeyang rose to fame as a member of BIGBANG alongside leader G-Dragon, T.O.P, Daesung, and Seungri. He was the first member of the band to make a solo debut, releasing his first EP “Hot” in 2008, which won the award for Best R&B & Soul Album at the 6th Korean Music Awards. The EP was followed by his first full-length studio album “Solar” in 2010, which garnered sales of over 100,000 copies. 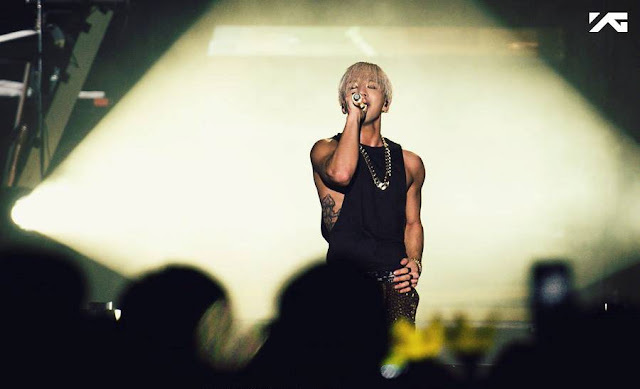 Labelled as the Korean Prince of R&B, Taeyang's vocal skills have been admired by critics and he is cited as one of the best vocalists in South Korea. 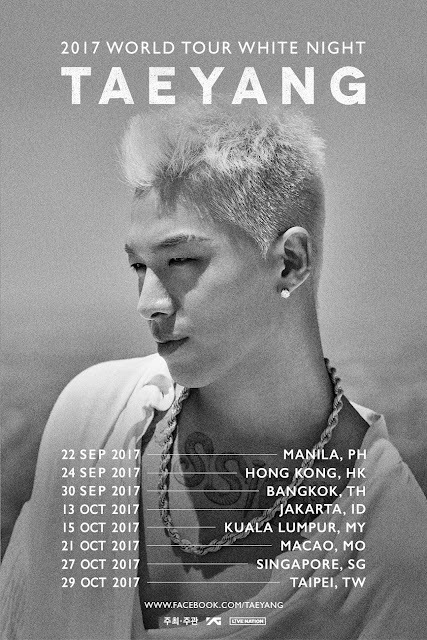 Taeyang's Bangkok show will take place at IMPACT Muang Thong Thani, while Indonesia, he will perform at JIEXPO Hall B3, and in Malaysia, he will be at Stadium Negara. Tickets can be purchased via thaiticketmajor.com, loket.com and ticketcharge.com.my, respectively.